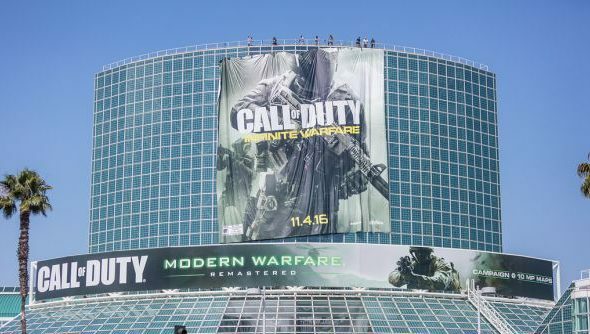 E3 is just about over now, though there’s likely many a trailer we’ve yet to uncover. However, eyes are set on the next show – E3 2017, same place and roughly the same time. Governing body the Entertainment Software Association today announced that the show will run between June 13-15 next year, with conferences presumably on the 11th and 12th (that’s Sunday and Monday), similar to this year. For all the E3 2016 coverage you could ever need, head to our PC gaming news frontpage. Expect all the fun again, even if more publishers pull out, it’s clear they’ll keep up the announcements. Maybe we’ll actually see more of FF7 Remake next year? A man can dream. The ESA also announced that this year’s attendance number was 50,200, a little down from last year. While that may sound like the same doom and gloom that’s dominated headlines about the relevancy of E3, it is still an extraoridinary number of people for a non-public event. Plus the news still flows, quite clearly, though most strongly out of Sony to the chagrin of our mice and keyboards. So, see you all back here or in the LA Convention Center next year, yeah? I’ll bring the Mountain Dew.